'Annesden', the Edward Everett Quimby residence designed by Mann & MacNeille c. 1900 in Bridgehampton. Quimby was an inventor who went on to subdivide and develop his own property around 'Annesden', eventually building eight cottages in total. Click HERE for more on the Quimby compound. 'Annesden' was demolished in 1994. You know I love all your additional links...but you did notice I put that link in the text right? BTW, if I read Quimby's biography properly, he was quite old when he built this compound. It's as if he was deliberately building something for his children that he himself wouldn't be around to enjoy. The fact that some of his descendants are still there is remarkable. Well, I had a late enough night that I clicked Zach's link, then I clicked Ancient's (the night was not so late that I didn't immediately realize they were the same). Nifty little piece of architecture. i suppose it wasn't mansion-ish enough for the new owners. Take a gander at today's nysocialdiary.com. 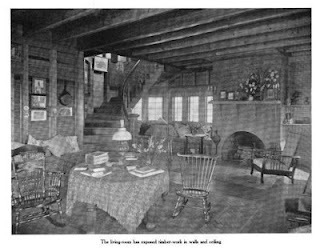 John Foreman has done it again with an excellent addition to his Big Old Houses series- a fascinating article on a wonderful place in Connecticut. 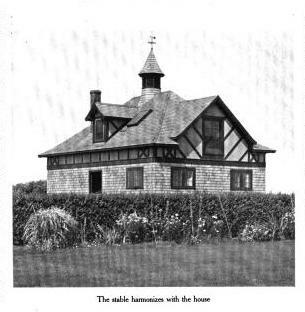 Was the lovely shingle styled stable with the nifty copula razed as well? It would seem like a tremendous loss if it wasn't at least relocated or disassembled for later use. 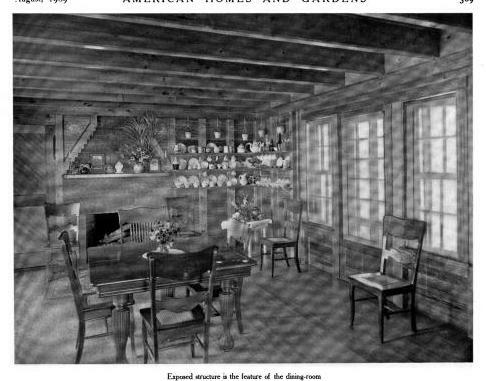 The Clark family in Cooperstown (Ambrose, Sterling, et al) had razed in 1979 the Spaulding family (Buffalo's sporting goods fame) manor house, Mohican Manor, and much of the salvage worthy elements were put into a massive complex of farm barns elsewhere on the property. I recall going through the barn and seeing leaded glass windows, hardwood flooring, and the like stacked up. The stable appears to still be there, albeit without the half timbering. Great NYSD link to the Colgate mansion, a most eclectic and nearly intact interior without too many "improvements" by subsequent owners, very rare. "John Foreman has done it again..."
Forman's past work is archived on NYSD's "House" page, in case you'd missed his previous columns from earlier in the year. For DED groupies, most of his gems are archived on the "Social History" page.